Can a great story transform a worthless trinket into a significant object? The Significant Objects project set out to answer that question once and for all, by recruiting a highly impressive crew of creative writers to invent stories about an unimpressive menagerie of items rescued from thrift stores and yard sales. That secondhand flotsam definitely becomes more valuable: sold on eBay, objects originally picked up for a buck or so sold for thousands of dollars in total -- making the project a sensation in the literary blogosphere along the way. But something else happened, too: The stories created were astonishing, a cavalcade of surprising responses to the challenge of manufacturing significance. Who would have believed that random junk could inspire so much imagination? The founders of the Significant Objects project, that's who. 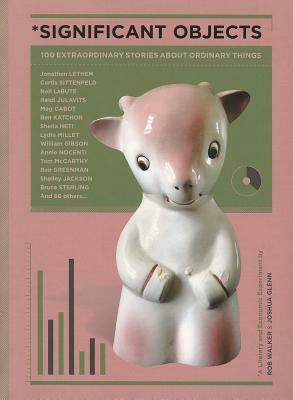 This book collects 100 of the finest tales from this unprecedented creative experiment; you'll never look at a thrift-store curiosity the same way again.